Do your gutters look like this? Filled with leaves and debris? Rain Gutter protection systems come in many shapes, sizes, and prices. Most leaf guards available to homeowners and do-it-yourselfers fail to keep debris out of gutters, the very thing homeowners need them to do. 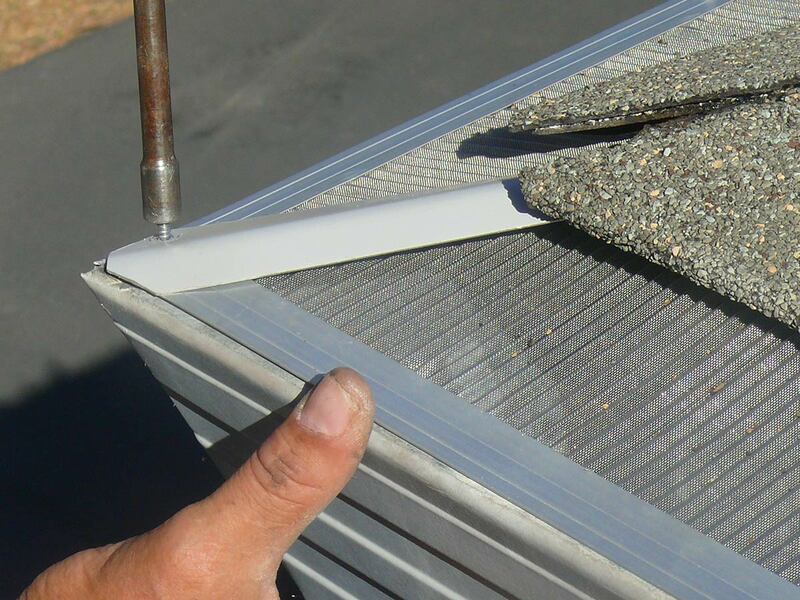 All About Gutters and Awnings offers a variety of gutter guard products from heavy-duty screen options to the newest and most advanced micro-filtration gutter protection systems. To determine the right system for your home or business, we look at a variety of factors. What volume and type of debris accumulate on your roof? What kind of system will work best with your roof? Do you prefer to have a color choice with your leaf guard selection? What is your budget for a gutter protection system? Gutter screens offer the homeowner with a limited budget an affordable gutter protection option. Gutter screens require a little more maintenance depending on the amount of debris that falls onto your roof and into your gutters. 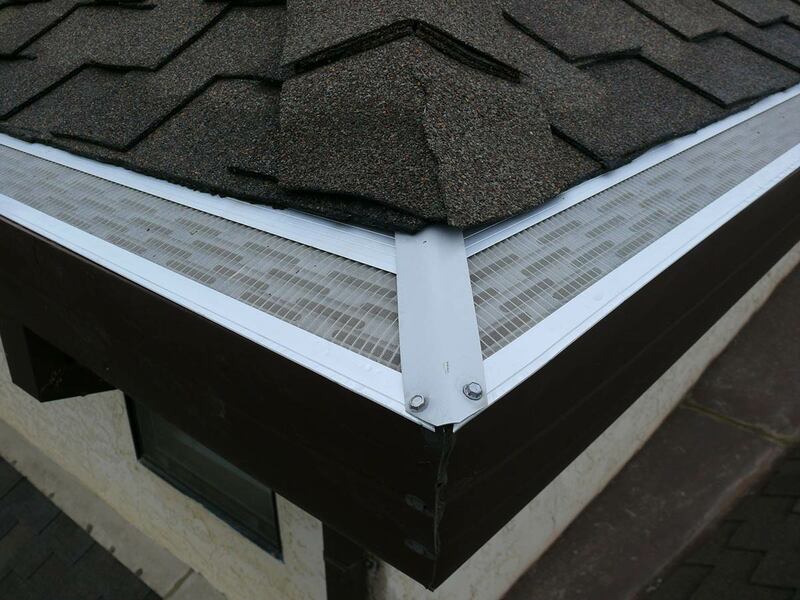 Micro-mesh gutter protection systems like Gutterglove® are completely enclosed gutter guard systems with stainless steel micro filters that promote self-cleaning, and keep the interior of your gutter maintenance free for a lifetime. The closed system design makes it impossible for debris to enter unlike reverse curve products such as Gutter Helmet, LeafGuard, K-guard, and GutterShutter. 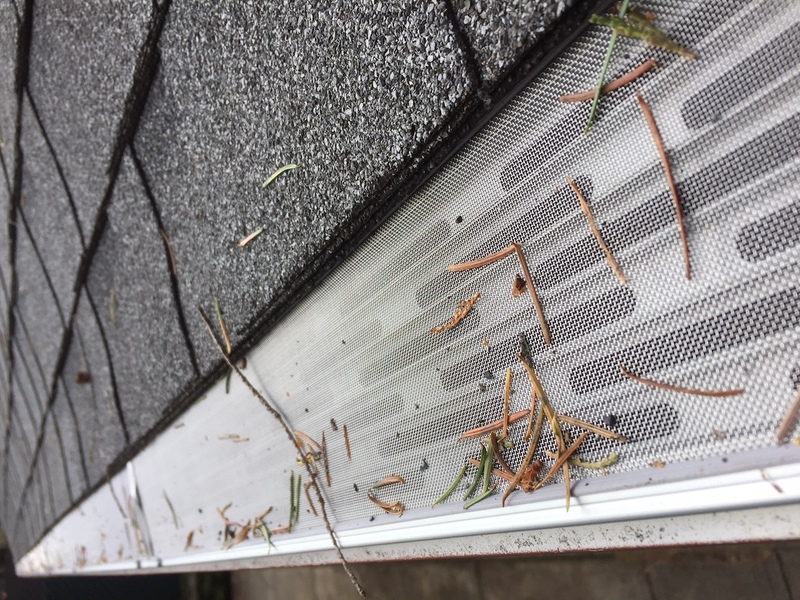 Additionally, the micro-mesh filter keeps pests out of your gutter. Typically, they are pitched with your roof line, which allows debris to shed easily, and they are backed with a comprehensive manufacturer’s money-back warranty. 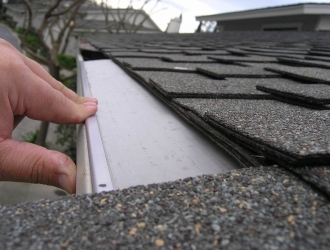 Some gutter protection systems, especially reverse curve designs, cannot always warranty against pests like bees building nests and birds forcing debris into gutter protection systems. 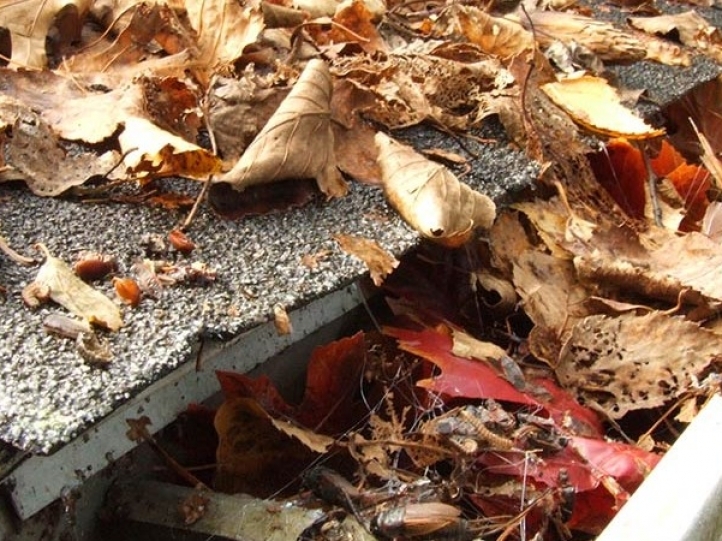 Ultimately causing clogging and overflow in your gutter system. 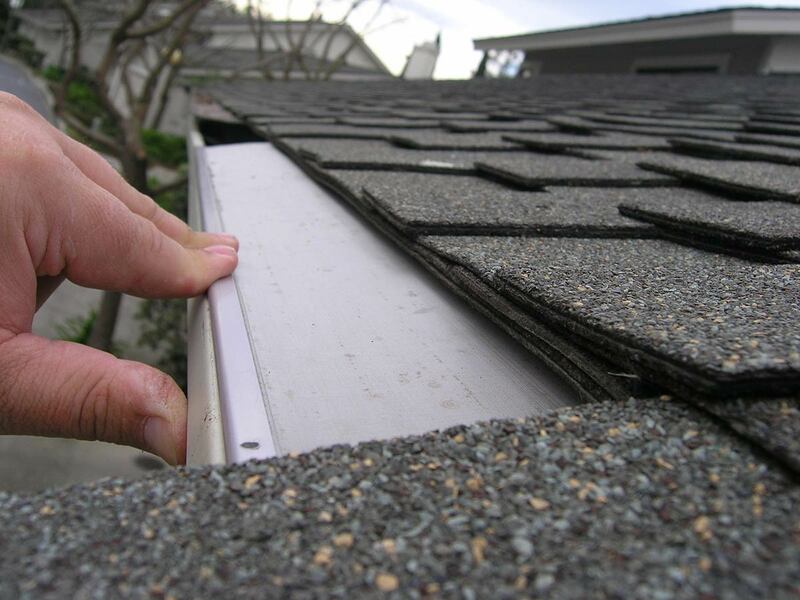 Micro filter gutter protection designs completely close-out animals and pests from entering your gutter systems.